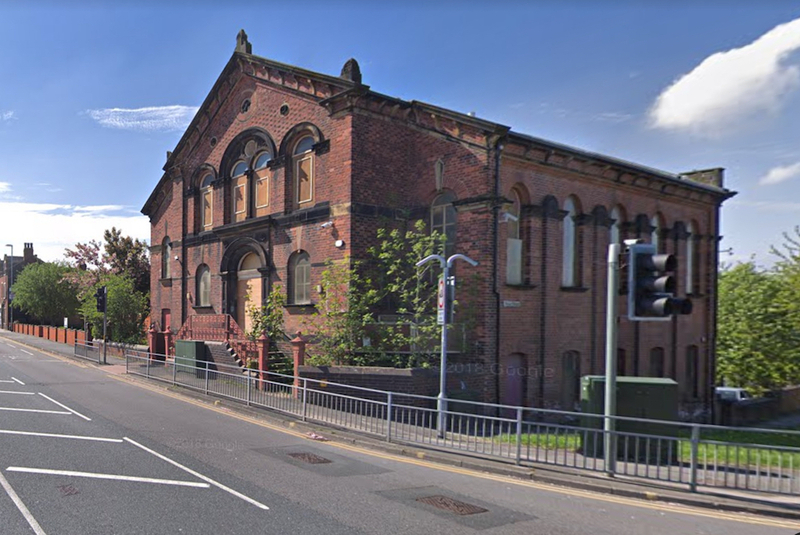 A planning application to convert the former Methodist Church at the top of Wesley Street in Beeston has been submitted to Leeds City Council. If approved the building would be split with the main church space being turned into eight flats with access from the steps on Town Street; and the lower ground floor (the former hall) converted into a “community support centre” accessed from the car park at the rear. Beeston Methodist Church dates from 1866 and although not a listed building, the developer intends to preserve its historic character externally, recognising that it is a local landmark. The building has stood empty for over ten years and ownership has changed hands serveral times in that time. The new owner, Mr R Willis confirmed to South Leeds Life that the one and two bedroom flats, which he described as “Luxury” would be for sale. The community support centre is to be let, on a peppercorn rent of £1 per week, to a charity called Angels of the Church Housing Association. They aim to offer one-to-one practical support to people on low incomes or with disabilities. They plan to offer benefits, health and money advice as well as serving hot food and providing a social space and access to computers. The site will include 10 unallocated parking spaces. The full plans can be viewed online via the Council’s planning portal here. Comments, either supporting or objecting, should be made by Friday 7 December.